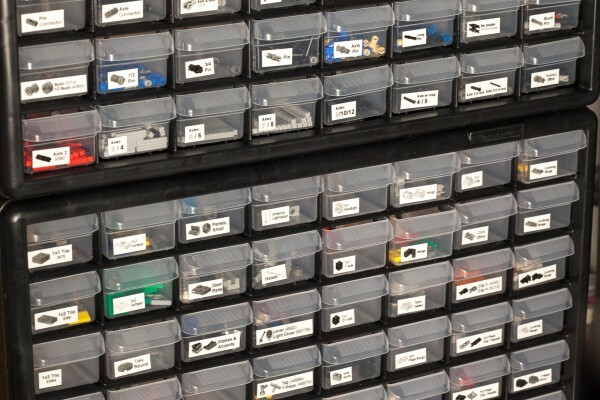 This series of articles explores the practical economics of buying, sorting and selling bulk Lego. I will help assess what it takes to make real money by describing my own experience buying a large used Lego collection on Craigslist for a discounted price, figuring out what sets I had, sorting the bricks back into the original sets, acquiring the missing pieces and reselling for a profit. Along the way, I’ll call out some of the hidden costs and benefits for Lego enthusiasts. Before I go deeper into the details of my project, I should point out that investing in Lego can be a big business for some folks. There’s an active community at brickpicker.com which helps people invest in Lego, although they focus on investing in unopened/new sets. On that site, you can see the current value of any Lego set (based on Ebay and other sources). It also allows you to record and track the value of your portfolio of Lego sets as if it were a stock market. I have purchased a couple Lego sets as a small-scale investment to support my hobby, but I don’t want to build up a large enough inventory to make it profitable. Some folks try to find sets at a discount and resell them immediately for a profit. Used Lego sets in good condition are worth between 50% and 75% of retail prices while they are still available in stores. 6 – 12 months after they are no longer available, used sets usually catch up with MSRP, and can slowly increase in value if they are in high demand. The rule of thumb for unsorted Lego is between 6$ and 12$ per pound. If the bricks are sorted by color or include lots of desirable pieces, they are worth more. The value of Lego Minifigures varies greatly. Rare minifigures from a popular theme like Star Wars can sell for 5-10$ a piece. More common minifigures sell for about 1$. Selling individual used bricks on a site like bricklink.com can yield much higher prices, but it requires a small warehouse to store your bricks and seems like an unbelievable time commitment. Based on these factors, I decided that buying a used collection containing older sets which I can sort into complete sets would be the best approach for me, especially if I could get it for a really low price. I looked at dozens of used Lego collections on Craigslist listings before I made my first big purchase. I live in Seattle which has a lot of Adult Lego enthusiasts, so it’s harder to find a great deal here. Since I was traveling to the east coast for the holidays, I checked Craigslist in areas we were visiting and found some better collections for sale than anything I’d seen in Seattle. The collection which I bought on Craigslist wasn’t very detailed and included only two blurry photos. The listing said that it included the “6211 – Imperial Star Destroyer” set which was released in 2006, plus “some other sets”. The original craigslist post is gone, so I can’t show you exactly what was listed, but I can say that the listing under-represented the size of the collection. “There are mini figures in the collection as most of it came from sets. The sets were broken down and the boxes / instructions were thrown out. I’m hardly an expert, but the following are some helpful tips to help make sure you get a good deal. Be patient. People sell used Lego collections every day. You need to find a great deal if you want to make any money. Ask questions. If the listing isn’t clear, ask for more details. If you want a photo showing which minifigures are included, it doesn’t hurt to ask. You can always ask for a lower price too, although be sure to close on a price before you make arrangements to see or buy the collection. Follow your interests. You are going to be spending a lot of time with these bricks, so it would be nice if the collection includes some sets that you are excited to build. Who knows, you might even decide to keep a couple sets as your “reward” for selling the others. In my second post, I explained the process I used to sort 60 pounds of LEGO into more manageable groups. So how DID you get it back across the country? I don’t usually resell used sets that I get this way, but I’ve bought a few lots this way for myself. One trick I’ve used is to save the Craigslist ad before I go to pick up the LEGO – that way I have their original description and photos to refer to after the fact. @Dan, I borrowed a large suitcase and duffel bag from family. Thankfully we were flying Southwest airlines so we could check the bags for free! @Allison, It is labor intensive to sort them back into sets, but it will give you a much better return than selling by the pound. It really depends on how much you value your time. You might be able to do a little better than selling by the pound to sell the “complete lot” and clearly display the various manuals you have and the associated minifigures. You could also sell the minifigures separately, and then sell the rest by the pound. It also seems like LEGO sells for better prices in different parts of the country. For example, In Seattle, used LEGO sells for nearly twice the cost than in Richmond, Virginia. I’m about to have a yard sale. My brother wants me to help him sell his Lego’s, we are keeping the ones that are already together that way and selling them. However we have several loose Lego’s and no instruction books. How would you recommend selling them? It is very time consuming, but sorting the LEGO bricks into the various sets, and acquiring any pieces which might have been lost will likely command the highest price. That said, this is probably not work it unless you enjoy sorting a lot of LEGO and building the sets one more time. The next best thing to do is sell on Craigslist, and include a clear photo showing the sets included in the collection by photographing the instruction manuals. I would like to sell my sons old Legos. Right now we have 45lbs of Legos. They are all sorted according to color only. All sets have been broken up. There are also 150 mini figures. Most of the mini figures are common figures, but there are at least 20 popular mini figures from Star Wars, Harry Potter, Indiana Jones, Batman and etc. Having never sold something like this before, I am wondering how I should go about pricing the lot? I have a new/ in box set of mars mission 7697. I’m trying to figure out how much it’s worth and where the best place to sell it would be. A little research has shown me that it was made in 2007. The box has been opened, but the plastic bags within have not and the directions are there as well. The condition of the box is excellent except for the fact that it was opened gently. I tried the brickpicker site, but received an error. Not sure if you have any answers for me or another site I can check? Thanks. Sets which are opened but the bags are still sealed will sell somewhere between the “new” and “used” prices on bricklink.com if you sell the set on Ebay. It should sell for somewhere between 35 and 55$. Great article! Just a few questions for you today, and thanks for your time. Have you ever been able to put together a set from a random bunch of Lego bricks you got, and does that set have resale value? My reason for asking is my son received a massive amount of bricks, some of the pieces look like they are from sets, but we’re not too sure which ones and what not… He’s hoping if he finds out what sets, he’ll be able to put them together and resell them whole. Is there a market for this? What’s the best way to find what sets he has from just a bunch of pieces? Will it matter he doesn’t have boxes or instructions, as long as he has the correct parts? And lastly, Where’s the best place for him to put them up for sale? Look at the minifigures and the bricks with Stickers or printed logos, since they are the best way to guess what sets are contained within the larger box. It is extremely time consuming to sort out the used sets, but it is possible and the sets can be valuable if they are complete and in pretty good condition. Good luck! 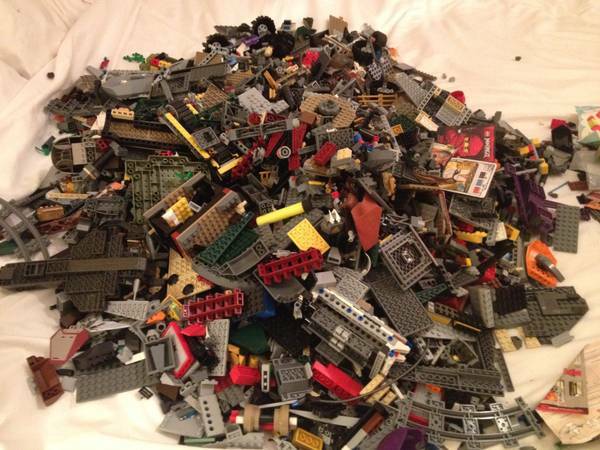 Are Craigslist, Ebay and Etsy the only resale sites for Legos? I’m kinda looking for a site that picks up my used sets, prices them then sends me a check. Does this exist? 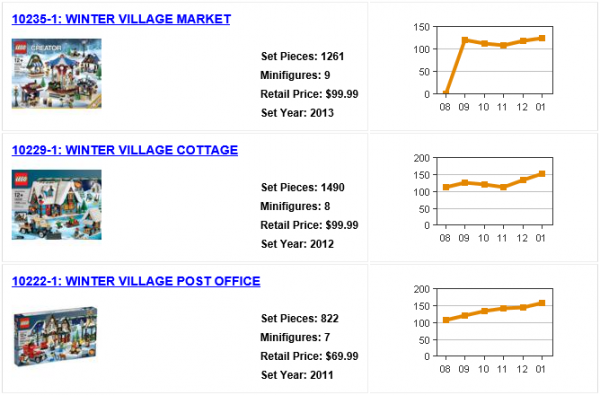 BrickLink is a lego-centric site, but not really for selling bulk. They don’t work on consignment or like Cash For Gold however. I have an almost complete set of LEGO Cafe Corner (Café Corner) 10182 Modular Building, which i was shocked to find selling unopened for over $3k on ebay. I can’t seem to find the tower or the Hotel sign, which are probably key pieces, but I could probably dig around a bit and they may turn up. Do you think there is any value in trying to sell what I do have, and if so how could I set a price? I have been sitting on my stepsons Legos for 8 years now. I know for sure that I bought him. Indiana Jones, Café Corner, Pirates of the Caribbean, 3 different Star wars and all the Bioniocle characters between 2007 and 2010. The collection is a total of 1998 through 2012. Easily 150 lbs. unsorted, 20lbs sorted by size. 200 mini figures, 20 action figures, 20 vehicle’s, 20 airplanes, 20 space vehicle’s, 10 dinosaurs, 10 dumpsters, cranes, backhoes. A Military set with trucks, tanks and boats that I cant find on line. All These made and in whole. When we moved in 2010 out of our house both my step son and his dad refused to box up the upstairs play room off the hundred’s of Lego sets. I told them both that when I sold them they would SORRY. Well I am over whelmed. Thank god I found this site that gave me a clue as how to proceed. I am going to put on line through Craig’s List in the next week and will post on this forum how to get to it. I have approx 60 lbs of legos, generally sorted by color. Lots of characters. Star wars, harry potter, etc. etc. Instruction pamphlets. Misc box of wheels, etc. Collection from two boys over many, many years. How do I sell? There is no easy answer – you will make more money if you sort into complete sets, but it is a lot of work. If you want to get pretty good money at low effort, list it on craigslist or ebay with photos of all the instruction manuals. Be clear that you should have most of the parts, but some stuff may have gotten lost over the years. I have just over 100 Lego figures, they’re very mismatched. In order to sell them do I have to somehow reassemble them to their original self or would somebody buy them ‘as is’. someone will purchase minifigures as-is, but you would get less than if you assemble them correctly. 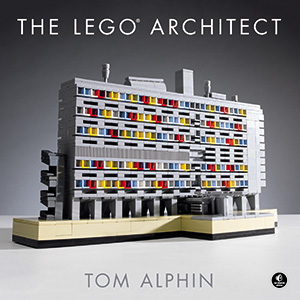 Hello, I am wondering how much to sell my Lego Architecture sets for? I have 18 different sets with the boxes and instructions and all the pieces are there. I have put them together once or twice. They are in good condition. Plus some of the sets are retired. Can you give me a suggested price. I have had people offer $20 bucks for 18 different sets and I think that is too low of price. Just do your research, and sell sets for a fair price. Used sets are definitely worth less than new ones. Hi Mr. Alphin, My 11 year old son and I just discovered your website. It is awesome! Thank you for providing so much useful information! We have a giant Rubbermaid container of bulk Legos. Thank God I had the forethought to keep all the instruction manuals from over 150 sets. Your posts have given us the motivation to finally sort and sell! What is better? Selling a lot of sorted legos and manuals? Or putting the sets together to sell? I have a whole room full of bulk Lego to sell. Just looking for the best price. My son has outgrown it. He had so many sets I can’t even estimate how many…including the Death Star which has a few pieces mixed in with the bulk mix. I have at least 80 pounds of Legos I bought for my Grandson some time ago. They are all in a 60 gallon bin. As I got them from a rummage slae. Since then my Grandson as past away & I would like to sell them. What should I do? They are all mixed togehter in a BIG bin. Haven’t really looked through it. But should I seprate by color & figures? Very confused!